For this tutorial, I incorporated a long list of my favorite things. First of all, I knew I wanted it to be matte. I am obsessed with matte nail art so it was a must for my design. Second, I wanted it to include bright colors and negative space. Third, I wanted it to be easy. Wait, what? "Easy" is part of my artistic point of view? Well, kind of! 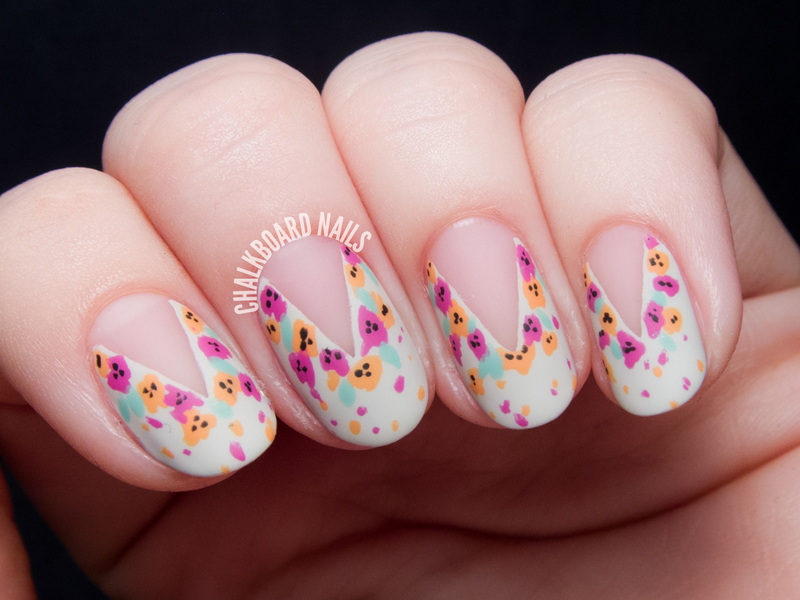 While I love tackling intricate nail art and difficult patterns, I also love showing people that nail art isn't as scary as it can seem sometimes. It doesn't take mountains of time or an arsenal of expensive tools to pull off a really interesting, chic effect. Though I've used a nail art brush in my demo, this look could definitely be accomplished with a toothpick instead. Hop to it! Tune in to the Nail'd It finale TONIGHT at 9/8c, only on Oxygen. Follow the show on their Facebook page, and join the conversation by following Oxygen on Instagram and using the hashtags #NailedIt and #ShowMetheMani. Don't forget, I'm briefly on tonight's episode! 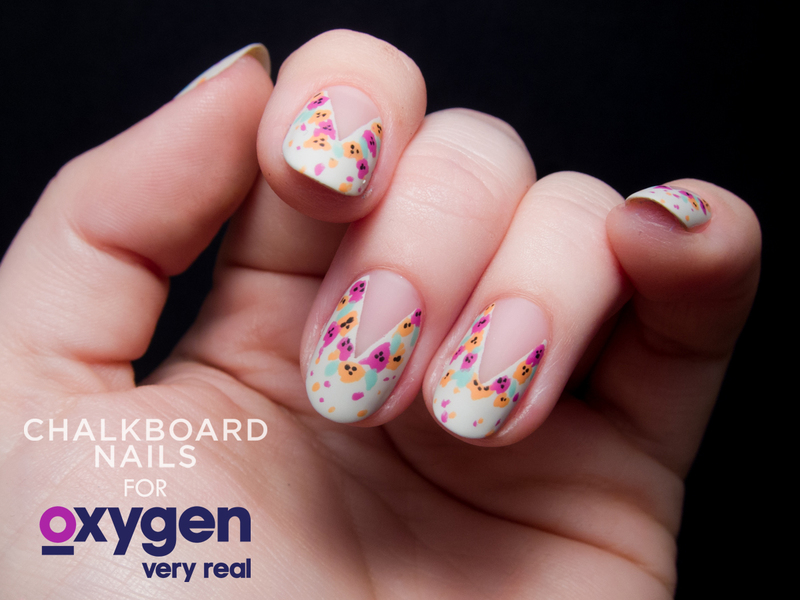 Disclosure: This post has is sponsored by reps from Oxygen and Nail'd It!. Press samples provided by their respective representatives. All opinions are my own. Obsessed with this design! Definitely going to re-create it! Please share a pic with me if you do! This is really cute, love the colors you used together! I have to say, for some reason I can't not see the black dots as faces, lol! Makes it even cuter! Let me know what you think if you give it a go! These are so cute and girly! Thank you for the tutorial too. Feel free to alter it as you see fit! I could totally see doing this in a Christmas way! I love it. I wish I could watch the show!!! :( This design is so lovely and artistic!! Hello on a beautyful day. Me and my daughter love your nails :-) We try to do nailart aou self, but it is not that easy. How cute manicure! Look easy to make too, I will try it. That sounds cute! You should give it a try! Congratulations on getting a tv gig! Wow, that's big time. 30 seconds is a lot of air time too! I love your designs. Such a cute look! The colors you picked are lovely.